A Centralized Vision Drives Results. 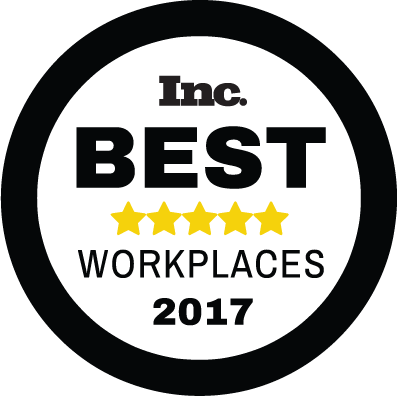 At Digital Media Solutions, we’ve created an award-winning workplace environment aligned with our business values. Every member of Team DMS is encouraged to be entrepreneurial, collaborative and results-oriented. We foster our entrepreneurial spirit to achieve unparalleled results in the world of performance marketing. Our speed, agility and courage help assure ongoing success for our clients. We are rewriting the rules of customer acquisition. We’re minimizing the waste and maximizing the results. We’re continually innovating to provide solutions that meet tomorrow’s marketing needs. We are confident in our ability to compete at peak performance, day in and day out. We’re bold. We’re fearless. We’re focused on the win. We accept responsibility, hold ourselves accountable and treat others with respect. We strive to make a difference by positively impacting the community that surrounds us. The Most Innovative And Entrepreneurial Digital Performance Marketing Company. When Our Teammates Win, DMS Wins. We believe in supporting the individuals who comprise Team DMS. Our benefits include health and wellness programs, stocked fridges and an annual corporate retreat in Florida. TEAM DMS IS SUPREMELY COMPETITIVE AND DECISIVELY UNAPOLOGETIC. WE WIN BECAUSE WE’RE AGILE AND ADAPTABLE TO THE EVER-CHANGING PERFORMANCE MARKETING LANDSCAPE.